At Peoples National Bank, banking doesn't just stop at accounts and loans. We offer our hard-working customers a wide variety of supplemental services to add ease to their banking lives — online, by phone, in-branch, and beyond. Peoples National Bank's routing number is: 081206807. Reorder your personal checks online directly through Deluxe on behalf of Peoples National Bank. As the leading supplier of personal check products to banks, Deluxe features The Most Popular Checks in the World®. Deluxe's online check ordering service is fast, easy and secure! Re-Order checks today. Switching banks is never easy. But at Peoples National Bank, we help with a great tool to get the process going. Peoples National Bank offers a simple way to switch accounts from your old bank to Peoples. Our Switch Kit helps you with the necessary forms to transfer your auto payments and withdrawals from your old checking to your new account with Peoples National Bank. Get all your Peoples National Bank statements in one monthly statement. Combine your checking account along with your other non-checking Peoples National Bank accounts and get the added convenience of one monthly statement. Ask your Account Officer today about how to combine your statements. Save time and simplify your life! Priority Transfer puts your money where you need it, automatically. Transfer between accounts or make loan payments, contact your Banker for details on how to make this work for you! Enjoy greater peace of mind by adding an extra layer of protection to your most valuable possessions. Speak to your account officer for further details about safe deposit box rental. Build your balance — automatically. 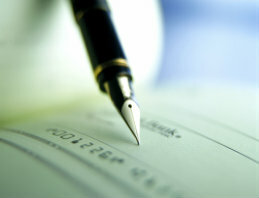 Have all or part of your check deposited to your account balance every month. Speak to your account officer about adding this convenience today.